About RMC & Unity3D Rivello Multimedia Consulting (RMC) provides consulting services for applications and games. RMC specializes in Unity3D development (see our work here). Please contact us today with any questions, comments, and project quotes. As always, RivelloMultimediaConsulting.com/unity/ will be the central location for deep articles and tutorials, Facebook.com/RivelloMultimediaConsulting (like us!) will engage the growing RMC+Unity community, and for the latest opinions and cool links follow me at Twitter.com/srivello. You can read more in my first article “Unity3D Reactive Extensions 1: An Introduction“. That is recommended reading before continuing with the article below. Exercise: Dispatch a double click event based on custom timing parameters. You can see the code is easy to read and powerful. While this algorithm requires state management, we don’t have to handle it directly. The internals of RX do it for us. You can imagine with a more complex feature, the code would be dramatically more than the RX solution. Below we break-down the code and explain each step. NOTE: The TLP Library used in this article is a work in progress. It features only limited functionality and does not conform to common RX standards in the naming, signature, and structure of major elements. These differences are why the syntax and marble diagram names below are not 100% coincidental, but the concepts are similar. The TLP team invites other developers to fork the library and contribute to it. Still it is a fantastic learning tool and quite useful as-is. //DID WE FIND X RESULTS WITHIN Y SECONDS? Marble diagrams are frequently in videos and blog entries from the Rx team explaining how certain operators in Rx work. From top to bottom there are; source stream(s), operators, and then the outgoing stream. The RXJava wiki has an especially pretty set of these images. Let’s take a closer look at the syntax we used. From RXJava, we see that “the free-threaded nature of Rx is key to the performance characteristics of the event processing pipeline. However, in places where we bridge with the external world, this sometimes has negative effects due to thread-affine operations involved. 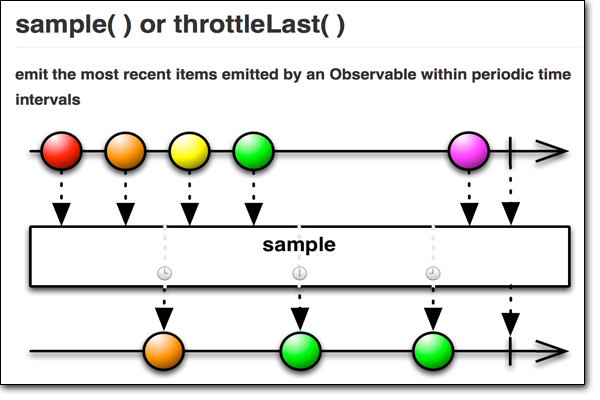 The FromEvent [Pattern] bridges are one such place where we reach out to add and remove operations on events”. Our specific use of everyFrame(), in pseudocode, would be like fromEvent (myMonoBehavior.Update). 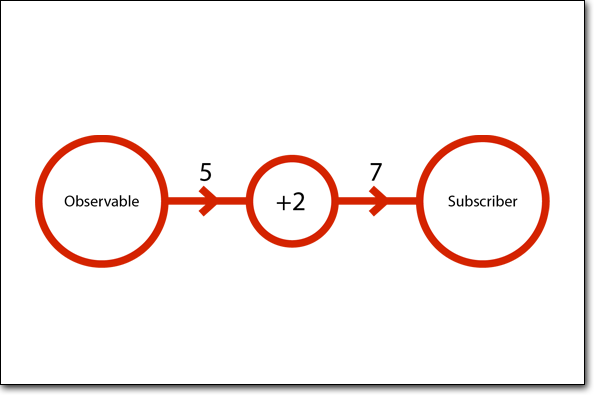 Subscribe is not an operator per se, it is something higher level in importance — When an observer subscribes to an observable sequence, the sequence begins and runs till completion. It is in the subscribe that we answer “What should ultimately happen with the outgoing event stream?”. In our example, we call a local method _onMouseEvent and we pass an appropriate MouseEventType. The Need To Go Reactive – Each day applications are getting bigger, users expect more to happen in less time, and our projects are deployed to increasingly diverse set of (smaller) devices. To compete, old dogs need new tricks. Reactive Applications – They react to events; loading data, user gestures, system failures. Event-Driven – Event driven systems feature loose coupling between components and subsystems; a prerequisite for scalability and resilience. Scalable – With RX our data runs ‘as if’ it is synchronous. Even the currently synchronous stuff. So as complexity comes and delays ensue, it can flex to be asynchronous. Secondly, the decoupled nature allows for location transparency. Benefits include multi-threading (where possible). Resilient – In a reactive application, resilience is not an afterthought but part of the design from the beginning (see ‘onError’). Making failure a first class construct in the programming model provides the means to react to and manage it, which leads to applications that are highly tolerant to failure by being able to heal and repair themselves at run-time. Responsive – The philosophies and practices of RX programming seek minimal latency to the user experience. Conclusion – We expect that a rapidly increasing number of systems will follow this blueprint in the years ahead. NOTE: While RX is designed to work with asynchronous data streams, it really doesn’t care. RX blindly accepts synchronous data within the same data flow. My first exposure to RX was regarding both UI behaviors (e.g. mouse events) and asynchronous data (e.g. loading from server). Gaming is inherently an asynchronous experience and the UI behaviors (e.g. user input) alone warrant a deep look at RX. 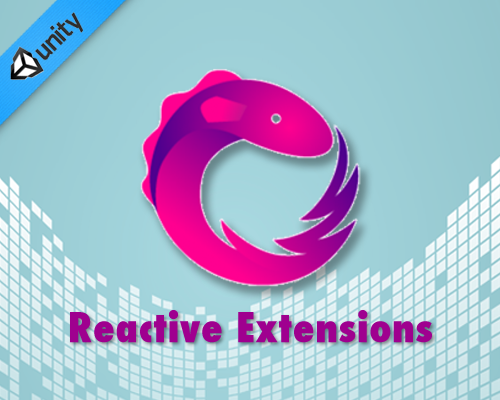 Reactive extensions (RX) is the library designed for Functional Reactive Programming (FRP). It is “a library for composing asynchronous and event-based programs by using observable sequences.” What is FRP? The name comes from the language features used and the philosophy of the data exchange (See Figure 1). Figure 1. 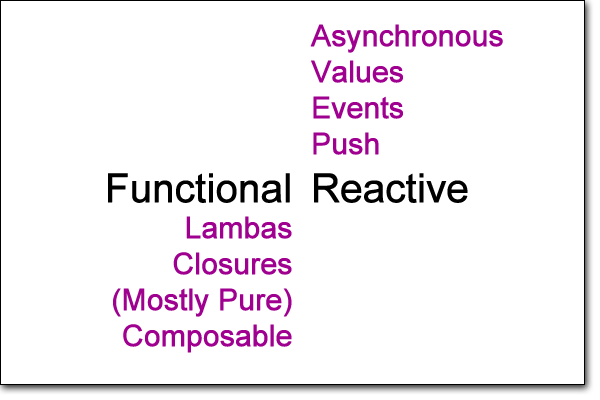 Functional Reactive defined. 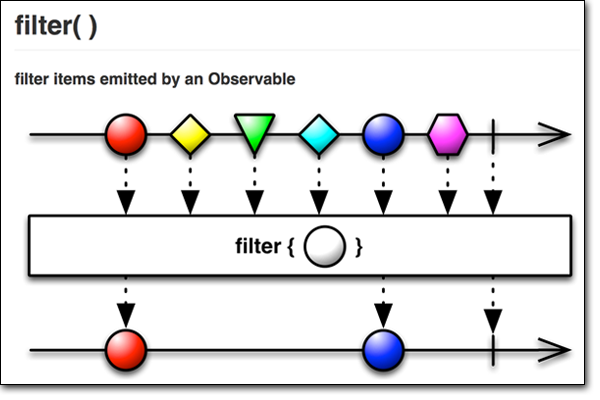 Observables – Source of event stream & Subscriber – Observer of event stream. Schedulers – Define the timing (inc. frequency) of concurrency. As a quick primer, consider the following Observer->Subscriber event stream (See Figure 2). Figure 2. Observer-to-Subscriber Event Stream. Here the Observable emits an integer, it goes through an operation that adds 2 to it, and is finally received by the Subscriber (Observer). All steps are asynchronous, which means the subscriber does not actually know that the original value had been changed. You can see the code is easy to read and powerful. While this algorithm requires state management, we don’t have to handle it directly. The internals of RX do it for us. You can imagine with a more complex feature, the code would be dramatically more than the RX solution. You can read an in depth analysis of this code in my next article “Unity3D Reactive Extensions 2“. This code requires us to ‘manually’ maintain state. You can imagine with a more complex feature, the code here would be even more long-winded compared to the RX equivalent. Thankfully we can use Coroutines, otherwise there would be even more state-specific variable setup to write and maintain. /// _ons the mouse event. NOTE: The Unity source-code for this article is available (See ‘Member Resources’ below). The RX library you choose must match your platform of choice. For me that is Unity & C#. 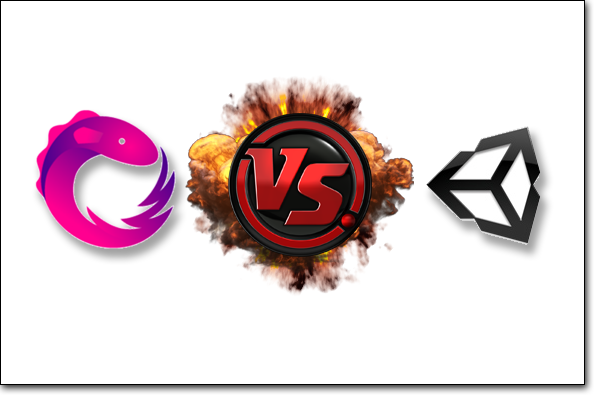 Due to the “RX & Unity” issues above I can’t simply choose any C# library. The library chosen for this article was created by the fine developers at Tiny Lab Productions (TLP). I continue to search for a Unity-friendly library that has the scope and syntax exactly matching Netflix’s fantastic RxJava implementation. NOTE: The TLP Library used in this article is a work in progress. It features only limited functionality and does not conform to common RX standards in the naming, signature, and structure of major elements. The TLP team invites other developers to fork the library and contribute to it. Still it is a fantastic learning tool and quite useful as-is. 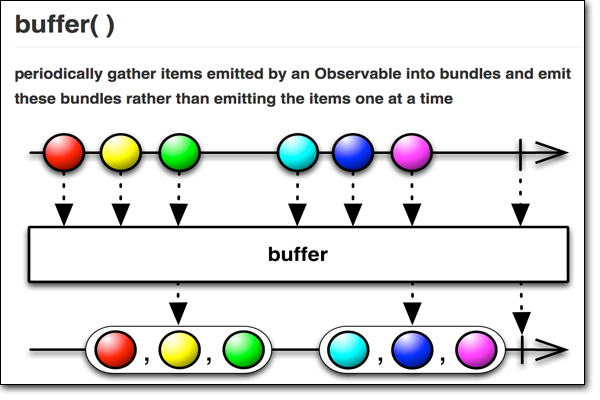 The RX example above uses combinators to empower the event stream filtration and modification. Deeper explanation is available in my next article “Unity3D Reactive Extensions 2“.